Perfect Pads are pleased to offer for sale this detached four bedroom house in Ynysforgan. Conveniently located to local shops, amenities and close to the M4 @J45. The property comprises of entrance hall, two reception rooms one with sliding patio doors leading to the enclosed rear garden. Large modern kitchen, utility room, downstairs shower room and fourth bedroom. To the first floor there are three bedrooms and family bathroom. 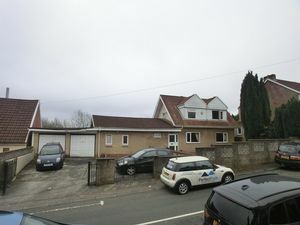 Externally there is an enclosed rear garden, to the front of the property is a driveway with parking for three cars and a double garage. Driveway with parking for three cars, patio area, double garage with electricity, side access leading to enclosed rear garden. Solid oak flooring, two large UPVC double glazed windows to front, two large single radiators, glass panel door leading to inner hallway. Carpeted flooring, single radiator, door leading to enclosed rear garden, stairs to first floor, door leading to family room, door leading to kitchen. Carpeted flooring, two single radiators, large UPVC double glazed sliding doors to rear. Lino flooring, plumbing for washing machine, space for tumble dryer, small UPVC double glazed window to front. Door leading from kitchen into study. Laminate flooring, single radiator, UPVC double glazed window to front, door leading to shower room and fourth bedroom. Shower cubical, W.C, hand basin, UPVC double glazed obscure window to front, tiled walls. Laminate flooring, single radiator, built in wardrobes, UPVC double glazed window to rear. Loft above, not boarded. Carpeted flooring, UPVC double glazed window to rear, doors leading to bedrooms and family bathroom. Carpeted flooring, single radiator, UPVC double glazed window to rear. Carpeted flooring, UPVC double glazed window to rear, airing cupboard housing boiler. Loft space above not boarded. Lino flooring, W.C, hand basin, bath with shower over, UPVC obscure double glazed window to front, single radiator, tiled walls. Patio area, steps leading to laid to lawn, shed, mature trees and shrubs.